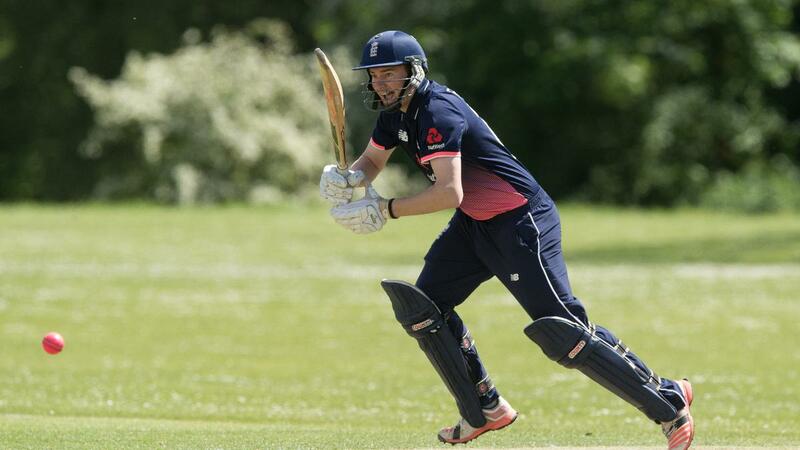 England continued their fine run of form with a 41-run victory over Australia in the first T20 of the INAS Tri-Series. 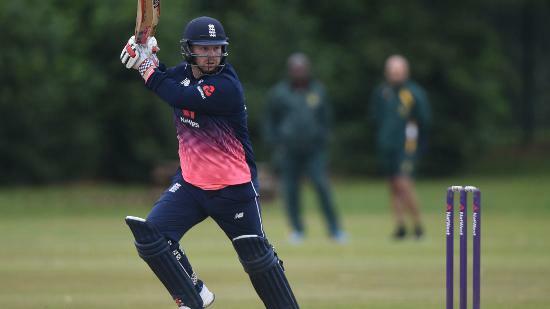 A hat-trick for Australia seamer Brett Wilson was not enough to prevent England from making a winning start to their INAS Tri-Series T20 campaign at Toft this afternoon as they comfortably defended a 140 target. The big Queenslander, 38, claimed 4-20 from his four overs, including a wicket with the last ball of the 18th and two at the start of the 20th. Captain Chris Edwards underpinned England’s recovery from 39 for four to 139 for eight on the sizeable Cheshire County Premier League ground with 68 not out from 54 balls. 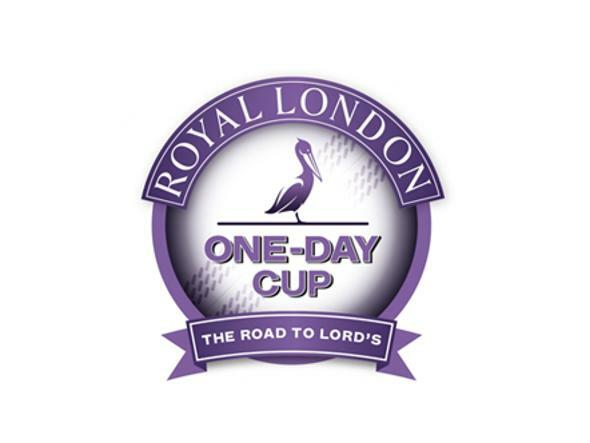 The 24-year-old backed up scores of 90 and 42 in the one-day trophy success, hitting six fours and a six. Haydn Brumm, another Queenslander, gave Australia some hope with a belligerent 39 at the start of the chase, but wickets fell regularly around him as they were bowled out for 98 inside 19 overs. England coach Derek Morgan, who saw his side clinch the one-day title yesterday, said: “We spent quite a bit of time last night recalibrating following yesterday. “We certainly enjoyed it, but we were conscious that we didn’t want it affecting today – and it didn’t. “We were a bit slow out of the blocks in the first six to eight overs. 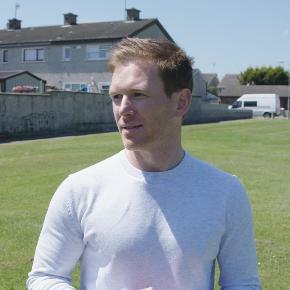 “It took us a bit of time to get into the T20 mindset, but once we made that connection we played better. “We have guys who are able to produce performances when it counts. That’s the difference between us and the opposition at the moment. 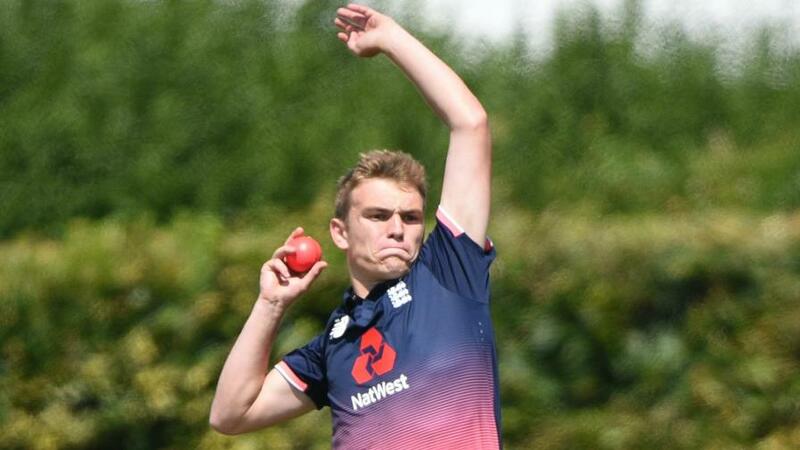 Essex teenager Ronnie Jackson finished with excellent figures of 2-11 from four, while Yorkshireman Alex Jervis also claimed two wickets. Australia were on top in the first half of England’s innings, restricting them to 45 for four. Brumm also opened the bowling with his left-arm spin and returned 1-15 from four, getting Jackson caught at deep square-leg sweeping. 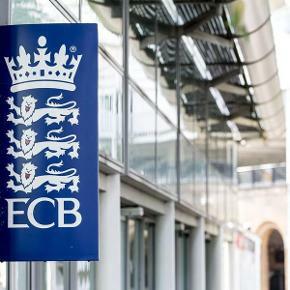 Wilson’s first wicket was that of another in-form England batsman, Dan Bowser, who was caught behind down the leg-side as the score fell to 31 for three in the sixth. 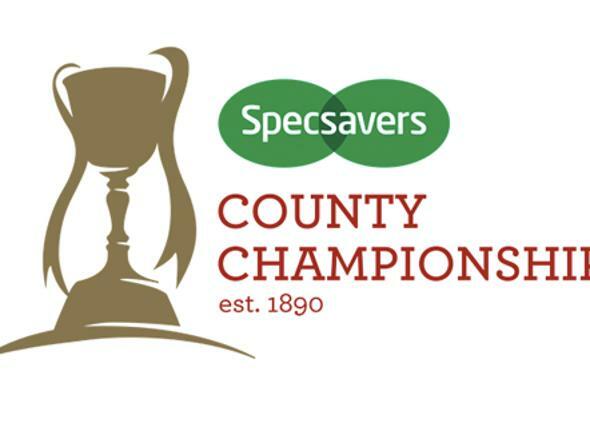 Wilson later had Jack Perry superbly caught at long-off by Brendan Westlake before trapping Tayler Young lbw and getting Callum Rigby caught behind to complete his hat-trick. 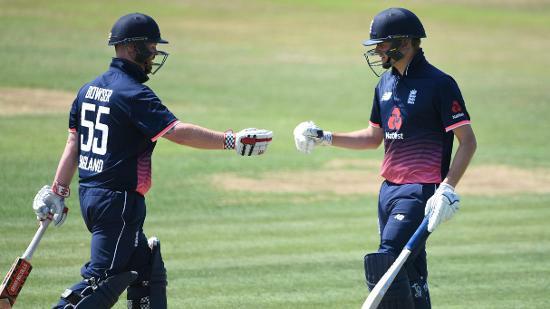 England’s innings was revitalised by sixth-wicket pair Edwards and wicketkeeper Jack Perry, both local lads, who shared 63 inside five overs. Both men hit sixes over long-on, with Perry finishing with 25 off 15. It took Edwards 20 balls to score his first 10 runs, but he reached 40 in as many balls and continued the acceleration as 94 runs came in the second half of the innings. Wilson played out a maiden against Jackson to start Australia’s reply before captain Gavan Hicks fell for two in the second, bowled by Jervis. When Jackson bowled Wilson for a seven-ball duck in the next, Australia were two for two. Westlake cover drove a couple of boundaries, but he was run out following a mix-up with Brumm in the fourth over as the score fell to 16 for three. Counter-attacking Brumm gave England something to think about. 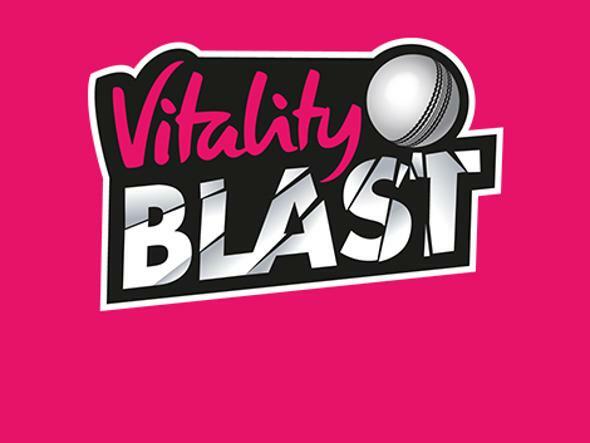 He hit 20 of 21 off Rigby’s only over, the seventh, including a flicked six over mid-wicket as the score advanced to 53 for three. 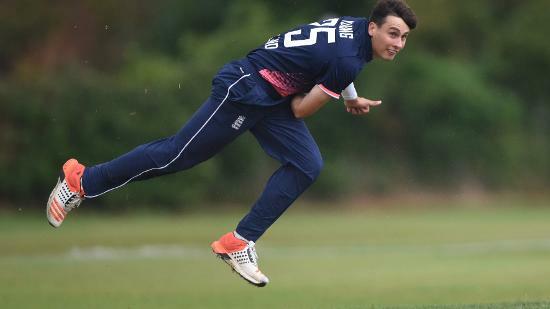 But seamers Matt Cowdery and Tayler Young then struck twice in two overs by bowling David Alford and Anthony Kalimeris to reassert England’s authority at 56 for five. Brumm hit his second six over mid-wicket off Cowdery at the start of the 12th. But he fell next ball caught and bowled off a leading edge to the Essex man trying to repeat the dose. At 70 for six and with David Baird batting with a hand injury, Australia’s chances were realistically over. Jervis and Jackson picked up further wickets, while there were three run-outs in the innings. Wilson added: “I didn’t realise I’d taken a hat-trick until the coach told me at the end. “That’s my first at this level, so I’m very happy. Australia face South Africa at the same venue this evening (5pm) before England face the two nations at Chester Boughton Hall tomorrow.